Since around the beginning of this year, consumers may have noticed reports in newspapers and magazines about a “daylight tubular device” (DTD) which, as its name implies, works on the principle of efficiently collecting natural light in a dome, introducing it into a tube, and enhancing the lighting through special devices in the tube to bring highly efficient natural illumination to where it is needed. Combining with natural sunlight makes energy-saving lighting even more efficient. As the light source is entirely natural, it is considered the most environmentally friendly lighting method available. But it generally still needs to work with other lighting resources to expand its area of application. 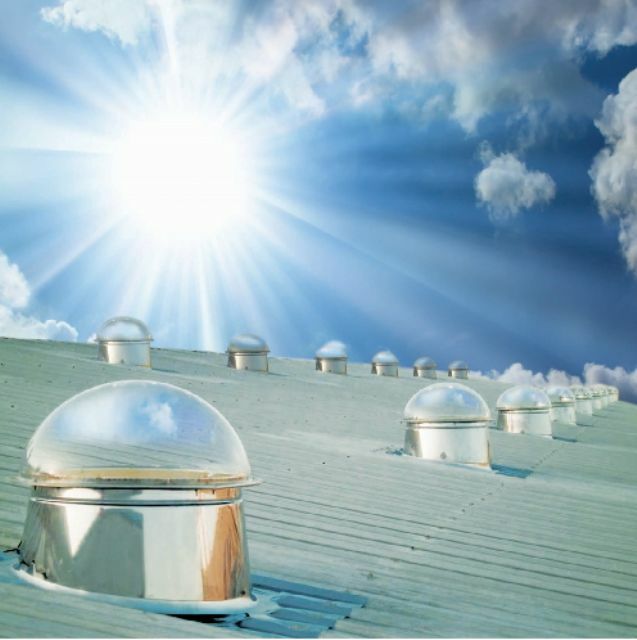 Daylight tubular devices also go by a plethora of other names, including “tube-guided daylighting systems,” “natural lighting,” “pipeline skylight illumination,” “sunshine import lighting,” and “non-electric lighting.” Provided there is adequate sunshine, a daylight tubular device can provide about ten hours of natural lighting a day, bringing obvious energy-saving benefits. Natural sunlight is considered the most user-friendly lighting source. Since a “daylight tubular device” gets its light from natural sources, it does not suffer the problems of glare, flicker, or chemical pollution which may be produced by artificial lighting. It emits soft, uniform, and full-spectrum light; and harmful radiation is filtered out by the light-collecting dome, making the device beneficial to the physical and mental health of users. 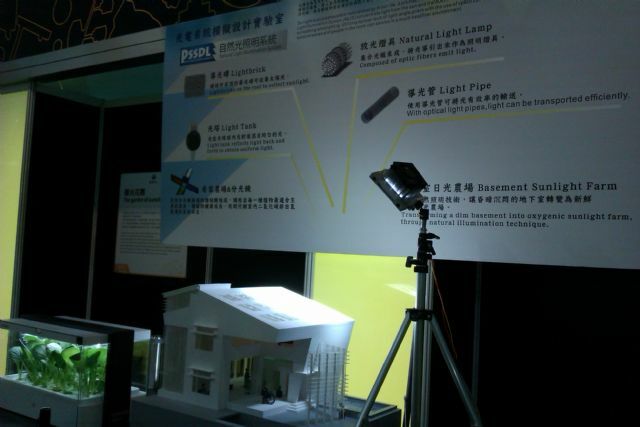 Several research institutions in Taiwan are engaged in research on this new method of lighting. The National Taipei University of Technology (NTUT), for example, introduced its “daylight tubular device” prototype at the Taiwan International Lighting Technology Show (TILS) in March this year, attracting the attention of many exhibition-goers. The NTUT displayed a small-sized system suitable for use in a single house with its own roof. The system consists of several solar panels that are placed on the top of the house to absorb sunlight, which is then delivered to wherever light is needed in the house. National Taipei University of Technology (NTUT) introduced its “daylight tubular device” prototype at the Taiwan International Lighting Technology Show (TILS) in March this year. Sunfly Solar Energy Solutions in southern Taiwan, which has been called the technology vanguard of daylight tubular device lighting in Taiwan, introduced a daylight tubular device combined with LED lighting for use in factories 24 hours a day. Shortly after its launch, this system won the “EPIF 2014 IGC Green Innovation Award” from the Ministry of Economic Affairs (MOEA). The company says that using its “combined solar light guided illumination and LED lighting system” will help a factory needing full-day illumination to save NT$10,000 (around US$333) in electricity usage and reduce carbon emissions by 1,455 kg per lamp. “In Taiwan, most industrial plants use high-wattage lighting, and lighting costs account for approximately 10 to 15% of a plant's electricity costs,” says a company statement. Using its “daylight tubular device lighting” together with built-in LED lighting that needs to be switched on only at night and on cloudy and rainy days will help not only to reduce production costs but to protect the environment as well. Married with LED light sources, according to the company, each daylight tubular device lighting system can save nearly NT$10,000 (around US$333) in electricity costs annually, given the use of the guided light tube for nine hours during the day and LED lighting for 15 hours at night. For a factory having an area of 1,000 pings (3,300 square meters) and 60 lights installed, this would mean a saving of NT$600,000 (US$20,000) annually. Sunfly estimates that should LED tube-guided lighting be installed in all the factories of Taiwan, the entire island would need 3.52 million lamps and these would bring a daily saving, compared with 400W high-pressure sodium lamps, equivalent to the output of one reactor of the Fourth Nuclear Power Plant. In addition, 228,600kw/hrs of power would be needed for cooling to counter the heat emitted by the the 3.52 million 400W high-pressure sodium lamps. Sunfly Solar Energy Solutions offers a daylight tubular device combined with LED lighting for use in factories that need lighting 24 hours a day. Its product won a “EPIF 2014 IGC Green Innovation Award” from the Ministry of Economic Affair (MOEA). The concept of the “daylight tubular device” was reportedly first introduced in the U.S. in 1986, and the technology has since been regularly upgraded and then integrated into architecture design. In the early years development was confined largely to the U.S. and Russia, but Taiwan, China, and several other countries have joined in. 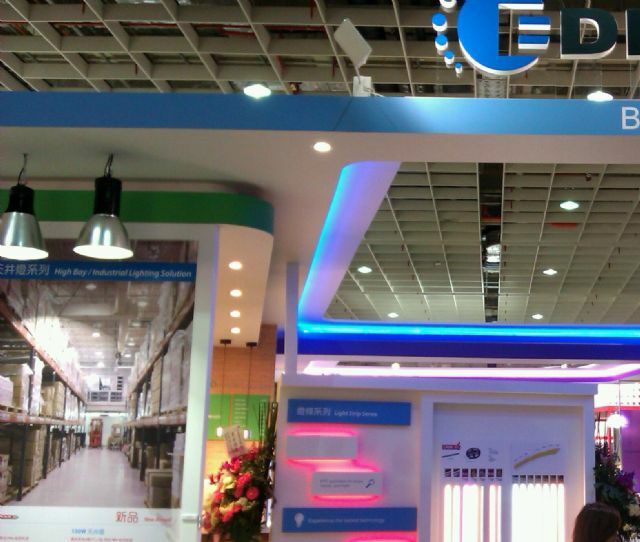 A Chinese pioneer in the field is the Solatube CECEP Daylight Technology Co., established in 2008. The company is a Sino-American joint venture with an American parent firm, Solatube International, and a Chinese parent that is a state-owned enterprise. Solatube Internationl has led the global market with its Solatube tubular daylighting devices (TDDs) for more than two decades. Solatube TDDs have become an ideal solution for interior lighting in a cost-effective, energy-efficient and eco-friendly way, since they significantly reduce the need for electricity while keeping people connected to the outdoor environment. Solatube CECEP's Chinese parent company was named a "national high-tech enterprise" in 2010 and its TDD product was listed among the most advanced technology products in China. The company is also a member of China's Architecture Lighting Design Standard Committee. The company has introduced a variety of daylight tubular systems to meet the needs of users in various fields, industrial plants, commercial buildings, residential single hones, underground parking lots, and supermarkets.